The trend in projects awarded is larger in size and more integrated in nature. 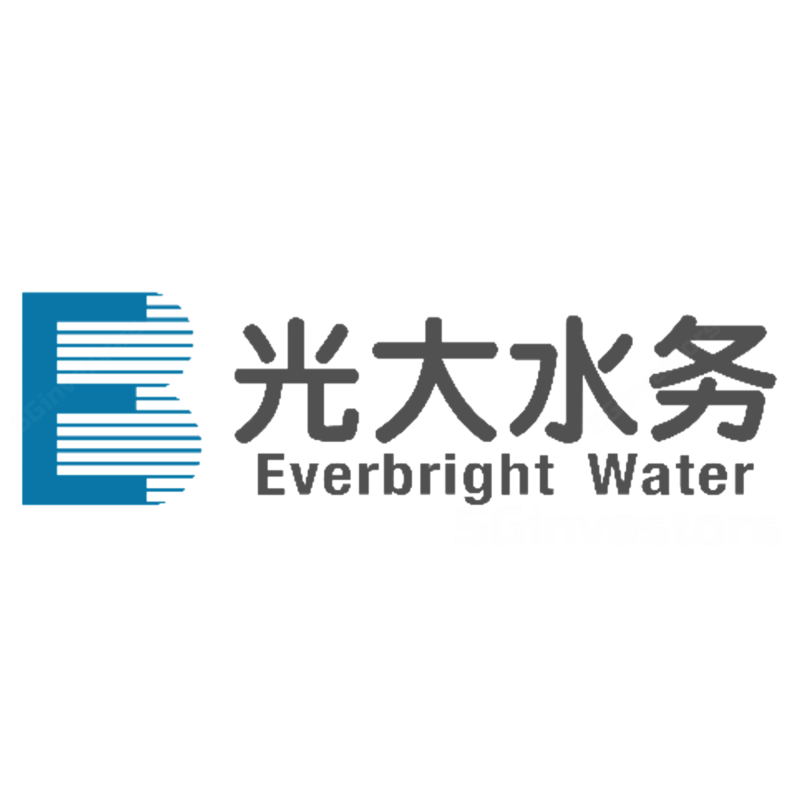 This favours the large operators such as China Everbright Water Limited (CEWL). As of Oct-17, CEWL has 73 projects under operations with 21 more to commence operations. We maintained our call BUY with a lower target price of S$0.54 (from S$0.61), together with forecast 0.5 SG cents dividend, implying a potential return of 17.3%. Our lower target price is due to change in our FX assumption and lower peers’ PER valuation. We attended an analyst site visit to the Wuzhong Chengnan wastewater treatment (WWT) plant located in Suzhou city, Jiangsu Province on 11th Oct 2017. The tour was accompanied by a general manager of the Suzhou plant, investor relation manager of the group, and several technicians. Throughout the visit, we understood the basic technique and process of wastewater treatment, the daily operation, and the routine of maintenance and water quality inspection. Meanwhile, the investor relation manager briefed us the group’s development and operation as of 1H17, which we had updated in the 2Q17 results report. The total investment of the plant is RMB780mn. The total daily designed capacity (DDC) of the plant is 150,000 m3 , serving a population of 460,000 within a 110 km2 radius. Phase 1 project of 75,000 m3 DDC commenced operations in Jan-09, and Phase 2 project of the same DDC completed construction in Jun-15. Both projects after upgrading qualified the national Grade 1A wastewater discharge standard (GB18918-2002) and commenced operation in Apr-16. The system comprises of three phases, namely wastewater treatment, sludge treatment, and deodorisation. It generally applies to residential WWT whose processing techniques and costs are different from those of industrial WWT. The wastewater treatment phase mainly adopts A 2 /O wastewater biological denitrification phosphorous removal technique*. The post-treatment waster will be discharged to Beijing-Hangzhou Canal after ultraviolet disinfection. The sludge treatment adopts integrated mechanical thickening and dehydration technique, and the post-treatment sludge will be sent to the power plant as a raw material for electricity generation. Deodorisation adopts ion and soil deodorisation techniques, and the post-treatment waste gas qualified the Grade 1A concentration of emission standard. The plant operates 24/7 with once-a-year maintenance. Winter is the off-peak season of water consumption for WWT to cleanse and replace devices and facilities. During such a period, the plant is still operating but at a lower utilisation rate. Currently, there are 30+ staff members working in the plant, of which some technicians work day/night shifts in turns. In terms of water quality inspection, the officials from the municipal government will sample once in a month while those from the district government will do once in a week. The water tariff of phase 1 plant was Rmb2.93/tonne. After capacity ramp-up and upgrading, the current average tariff of 150,000/m3 capacity is Rmb2.675/tonne, including basic tariff of Rmb1.952/tonne, upgraded standard tariff of Rmb0.428/tonne, and deodorisation charge of Rmb0.295/tonne. The slightly lower tariff is due to the amortisation of investment according to a larger capacity. The average WWT cost is Rmb0.5/tonne. The overall profitability of the project improves though the tariff is marginally lower. According to the general management, the water tariff is subject to negotiation every two years, and the next adjustment will be in 2018. Four factors impacting the pricing of water tariff include the contracted cost of investment, operating costs, the required rate of return, and tax. When WWT cost per unit changes beyond 5% of a given level, water tariff will be adjusted accordingly. The plant also charges Rmb260/tonne for the post-treatment sludge to power plants. On average, it processes 120 tonnes of sludge per day. As of Oct-17, CEWL has 73 projects under operation with 21 more in the pipeline. In 1H17, the success rate was 60% of all bids. The group walked away from some tenders because some projects neither met the required rate of return nor matched with the long-term goal. In the recent two years, besides those upgrading projects, CEWL succeeded in winning some integrated projects whose contracted investment worth from Rmb1- to 3bn. The industrial trend that WWT becomes more integrated, comprising of the whole or parts of the water supply chain system, will gradually drive out small and medium-size WWT enterprises since most of them fail to meet both the higher capital and operational requirements imposed on them. Therefore, we believe that CEWL is able to take advantage of this. It has strong funding support and integrated project managing capability. We revised down our FY17 EPS forecast from 3.6 SG cents to 3.4 SG cents due to FX changes and maintained our call BUY with a lower TP of S$0.54 (previous SG$0.61), based on lower average 12-month forward PER of 15.9x (previous 17.1x), together with forecast 0.5 SG cents dividend, implying a potential return of 17.3%.